Last year at INBOUND 2013, HubSpot announced the HubSpot COS that revolutionized the way we approach web design and content management. With tools like Signals and Personalized Marketing, the COS was quickly becoming the one-stop-shop for everything design, marketing, and sales. The only thing they were missing was a proper CRM. 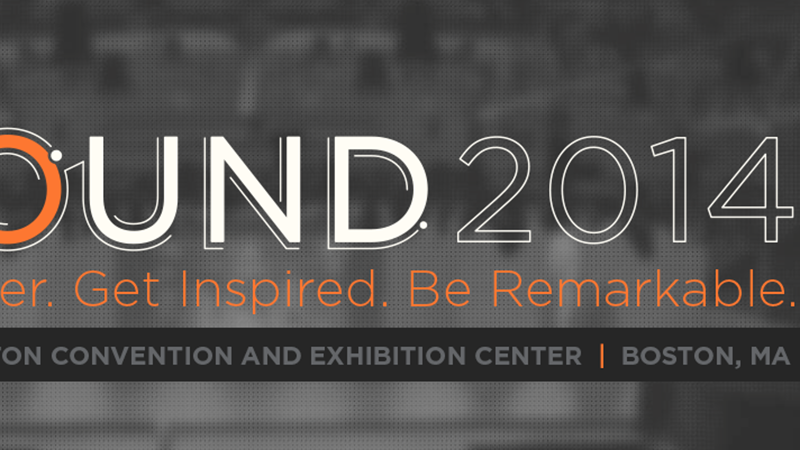 And this year at INBOUND 2014, that’s exactly what they delivered. We’ll introduce you to this great addition to the HubSpot tools, give you the features break down, and spend some time talking about the new Signals updates: Sidekick. What we love most about this CRM? It integrates so seamlessly with all the HubSpot tools you already have in place and it uses the same platform and interface that we’ve grown accustomed to. You don’t have to learn any new tools or get lost in complicated features. The CRM is constantly working in the background, getting feedback from your web pages, your forms, your emails, social media, phone calls, and more to organize every interaction your contacts make without you having to manually input it. Whenever you need to, you can access all the details on the spot and up to date. What this means is that you won’t have to waste time with menial tasks. The tool does that for you. You can focus your time instead on actually making the sale. 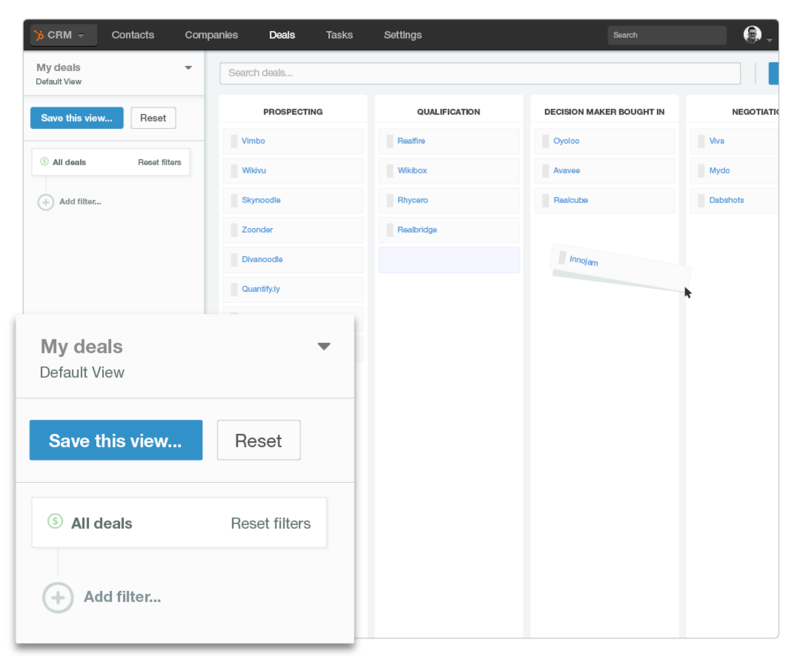 The database feature helps you organize all the data you’ve collected on contacts, companies, deals, and tasks. It automatically creates a full overview of company records including all the details associated with it to provide you with a wholesome view of your buyers. It also de-duplicates leads so you never have a cluttered contact list. But it doesn’t stop there. Data enrichment also adds any useful information about any contact or company. 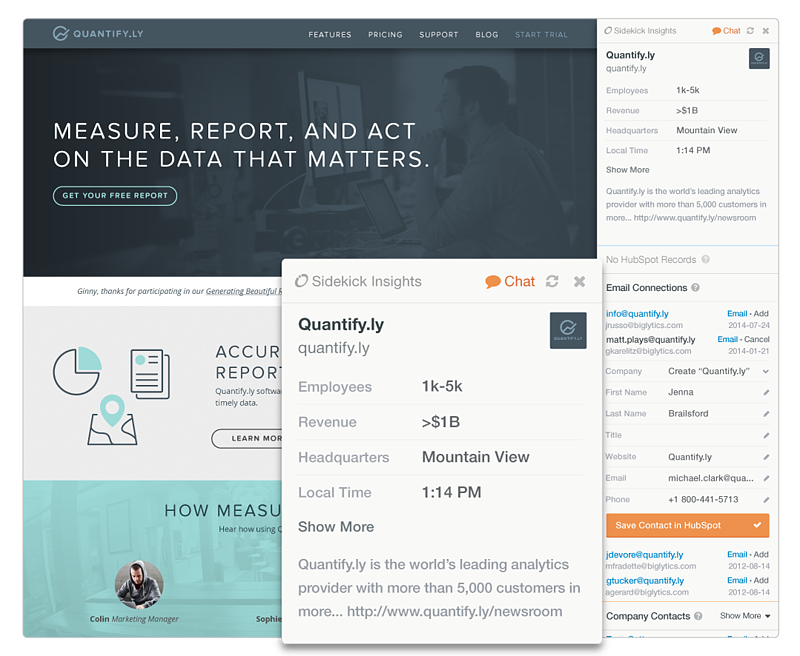 Any new piece of information about the company background, key employees, social data, and more gets logged in its relevant place so you never ever miss a beat. 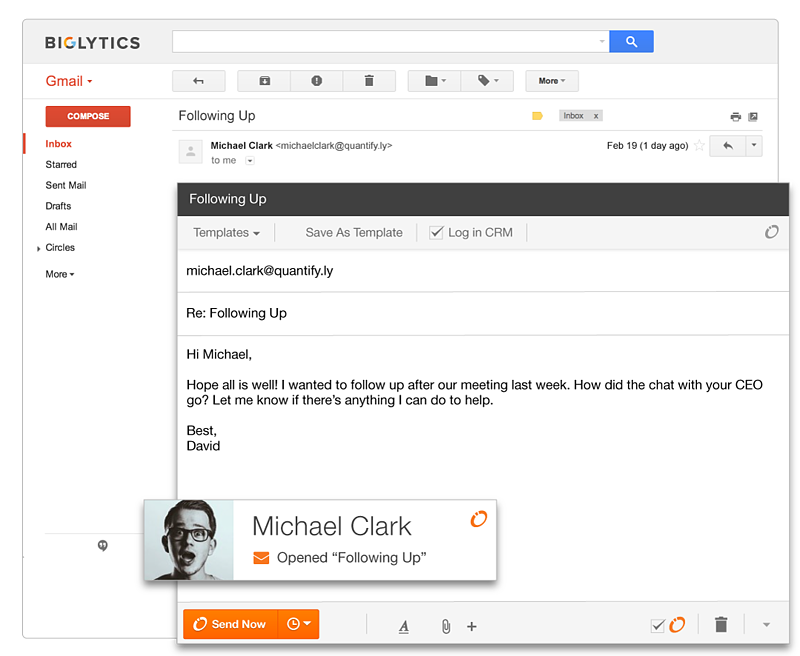 HubSpot CRM connects to Gmail, Google Apps, Outlook and Apple Mail, to automatically fetch and log emails with your contacts. 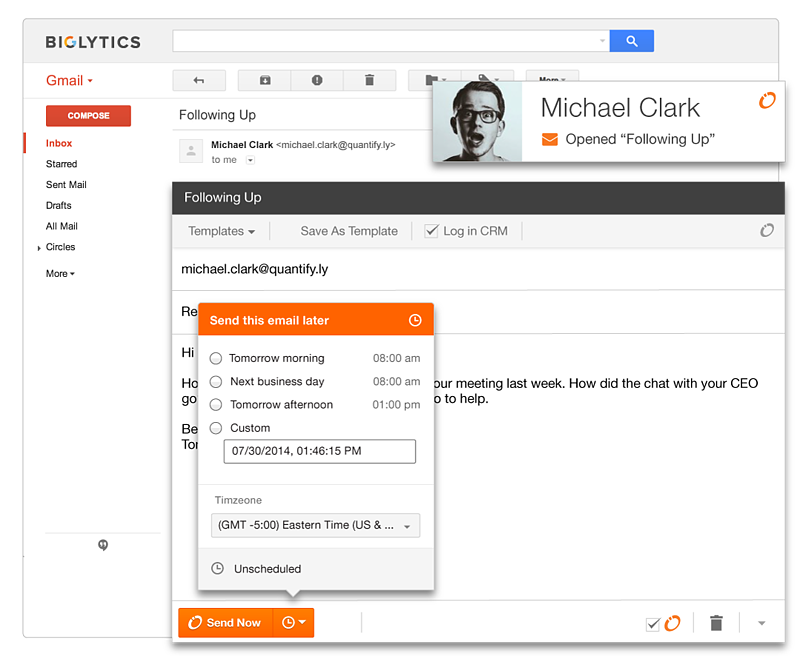 Through this integration, you can also send emails straight from the HubSpot CRM. The phone integration allows you to make calls in your CRM, log notes, and even recordings of your call. The calendar integration logs your scheduled meetings and of course allows you to create meetings from within the CRM in seconds. 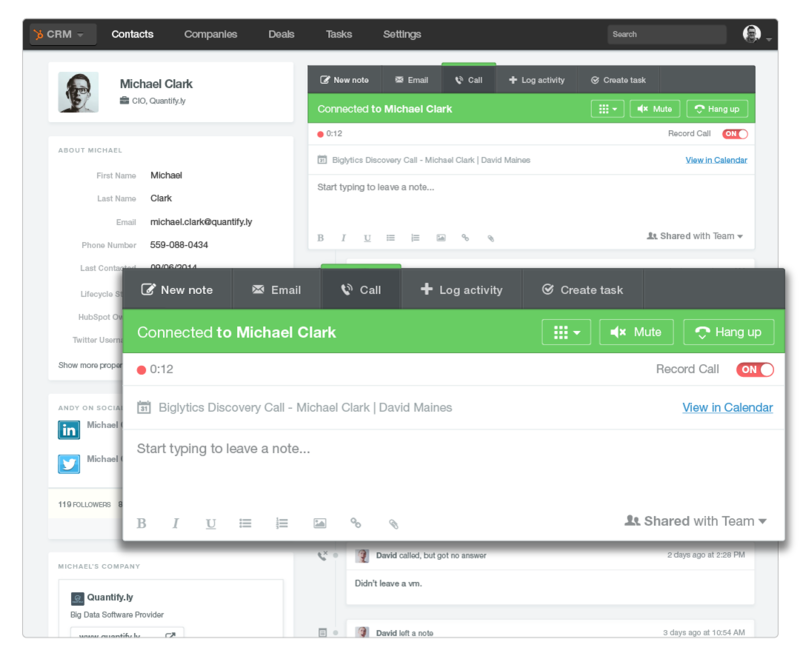 Without ever leaving the CRM you can send emails, make phone calls, and schedule meetings in a few seconds. Now that the CRM logs every single communication, wouldn’t it be amazing to track each and every touch point across all platforms chronologically? Yes it would and that’s what timeline is all about. It brings together all your communications with a contact and puts it in a neat chronology that you can refer back to in order to follow the sales path. This includes all phone calls, emails, reminders, notes, and social media interactions. 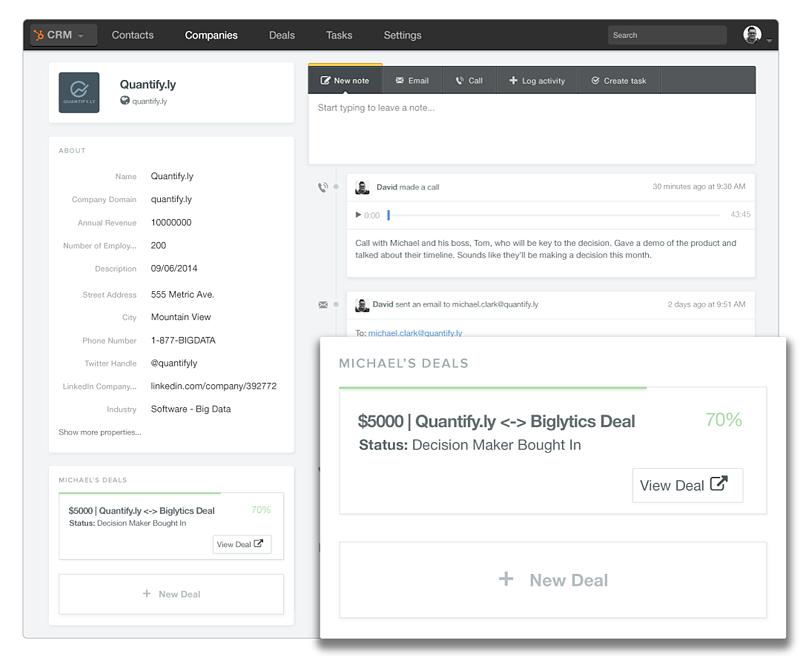 The update to the sales tool that salespeople fell in love with empowers your inbox and your CRM to collect valuable details about your contacts and manage your sales processes even better than before. Perhaps the most amazing feature of this new update is Insights. It tracks your interactions with contacts whether it’s via email or on the web and automatically collects important details about them. After that, it lists this information in an awesome interface that gives you quick facts about the company and the contact you’re interested in. Building on the real-time updates that Signals brought us, Sidekick notifications updates you on when, where, and how prospects are engaging with you. This includes opened emails, web pages visits, and more. PROTIPBy keeping an eye on these reports, you’ll get a better understanding on how your sales team is interacting with prospects and how their messages are performing. Then you can analyze and optimize to get better results. Don’t you wish you can just dedicate a certain hour to manage all your outgoing emails then carry on with the rest of your work-day uninterrupted? The Send Later feature helps you do just that. Straight from Gmail in Google Chrome, you can schedule emails to be sent out on any day, at any time. You can use this tool to make sure your emails are sent out when they are most likely to be opened and clicked through. HubSpot has again figured out ways to make our work hours more productive and our job much easier. 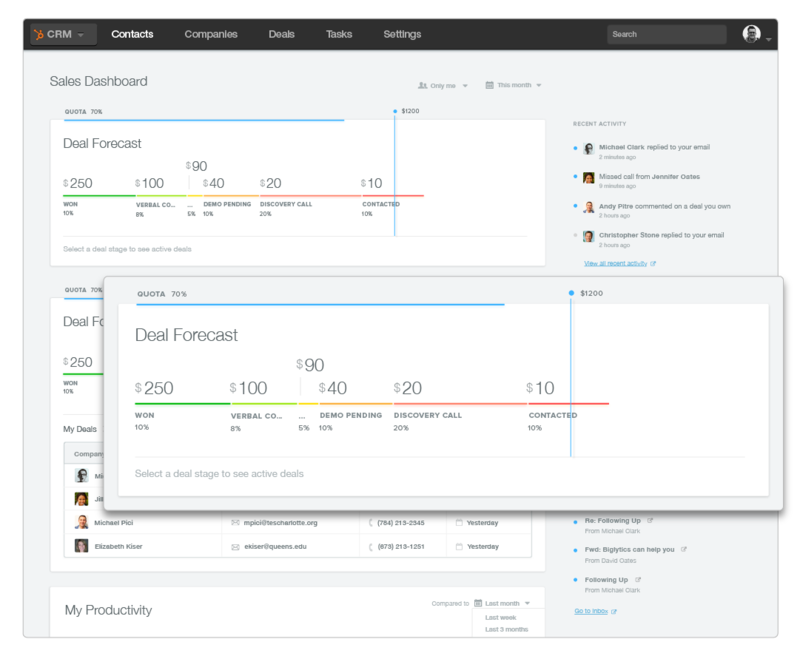 We know we can’t wait to start using these fantastic tools to manage our own processes. Be on the lookout for more HubSpot announcement this INBOUND week.